Here's a Summertime Tip: Want to go camping at one of our wonderful State Parks this Summer? Better reserve your spot now! They're starting to fill up quickly! Every foreign and domestic motorcycle manufacturer's newest models on display..huge custom & antique bike show..100's of exhibits covering everything in motorcycling..huge Swap Meet, Biker Fashion Shows, tattoo contests and more! NEW this year..the 'Travel, Touring & Adventure Feature Area! Whether you’ve been in your home for years or just moved in, the Home Show is the one-stop shop for all your home improvement needs! Skillfully accompanied by a concert cellist, this 90-minute performance cleverly combines world-class sleight of hand, dynamic story-telling, mind-games, psychological illusions and tons of audience participation. Last Weekend! This sparkling comedy is the story of a man who can't tell the truth, and his servant who can't tell a lie. Together, they roar into Paris and into the immediate pursuit of ladies they meet in the Tuilleries Gardens. Maryland Ensemble Theatre’s (MET) family theatre, The Fun Company, is proud to present, “The Little Prince”. Through March 8, 2015. 2nd Star Production’s current comedic offering. We follow television star Andrew Rally on his quest to become a true actor, helped and hampered by his agent, his friends, and of course, by the ghost of John Barrymore, one of the most famous American Hamlets of the 20th century. Double lives and double standards abound and delicious, plot-twisting mayhem ensues. This quintessential comedy of manners by Oscar Wilde features some of the funniest lines ever written. Love is in the air all month long. Wine and chocolate are a match made in heaven. Enjoy learning how to partner up your wine and chocolate. $10 Call for availability. Reservations recommended. Mrs. Alving has kept the sins of her late husband a secret for her entire life. But soon the ghosts of the past catch up to her when her only son arrives back home with a deadly illness, looking for answers. In this dark comedy, an Irish National Liberation Army enforcer goes on a rampage when the one thing he loves -- his cat -- is killed. Presented by Constellation Theatre Company. Featuring a spirited centennial celebration of America's most prolific self-tutored & "on fire" artist, Rev. Howard Finster. With illuminating works by visionaries: Ingo Swann, Jimi Hendrix, Christine Sefolosha, Walter Russell, Robert Crumb, Paolo Soleri, Dr. Bob Hieronimus, & more! Founded by legendary dancer and former Prima ballerina of The Bolshoi Theatre Ballet, Maya Plissetskaya, The State Ballet Theatre of Russia, now under the direction of award-winning dancer and Moiseyev soloist Nikolay Anokhin, presents one of the greatest classical ballets of all time. Tony Award winner (Bring in ‘Da Noise, Bring in ‘Da Funk) has stepped into his own legendary status in the tap world, and in his newest show he pays homage to past tap masters to music that ranges from John Coltrane to Prince to Shostakovich. Nationally lauded fiction writer Emma Donoghue joins Howard County Poetry and Literature Society as guest writer for its 37th annual Irish Evening. Donoghue will read from several of her acclaimed works, followed by a performance by musical group Narrowbacks in a concert of traditional Irish music. Susan G. Komen Maryland presents the Concert for the Cure featuring the Paul Reed Smith Band. Plus, a live auction for a SIGNED Paul Reed Smith SE Custom 24 Guitar. All proceeds from the concert benefit Komen Maryland. The National Theatre of Scotland and Royal Shakespeare Company team up for the sequel to "Macbeth." Robert Slawson, MD, FACR, and author of Prologue to Change: African Americans in Medicine in the Civil War Era, will tell the unlikely story of a handful of African-American physicians who rose against discrimination to serve as surgeons for the Union Army during the Civil War. Kickoff Black History Month at the Smithsonian. The event, inspired by the museum's new exhibition called "Rising Up: Hale Woodruff's Murals at Talladega College," includes hands-on activities, live music, family gallery tours, musical performances and a genealogy workshop. The kid's show explores sibling rivalry and cooperation, incorporating audience participation and humor. The tenor and pianist perform Schubert's "Winterreise," after which Bostridge discusses his new book "Schubert's Winter Journey: Anatomy of an Obsession.". At the Coolidge Auditorium. This is the one stop shopping for all your kid's needs, clothing size from infant to size 12-14. Now accepting juniors clothing plus toys, books, shoes, sporting equipment, infant and toddler equipment and much more. Half priced sale 3pm-5pm. Black nurses served in both Union and Confederate hospitals, and their surgeons counterparts treated civilians and soldiers on the battlefield in army hospitals. Historian Jill L. Newmark will share her knowledge of this intriguing subject. Phil Wiggins brings his incredible talent to the Playhouse for an evening of sublime blues backed by the Chesapeake Sheiks. Over 50 vendors displaying. demonstrating and selling their items. Proceeds from Raffle and registration fees go to the Kidney foundation research program. America's Premier Folk Ensemble. The Tamburitzans dazzles audiences across the country with elaborate costumes and incredibly versatile musicians, singers, and dancers. Winter is a great time to photograph outside, or as the great sage of photography once said, "Bad weather makes for great photos." This is a great opportunity to learn from a true professional. THIS IS AN OUTSIDE EVENT, SO DRESS WARM! 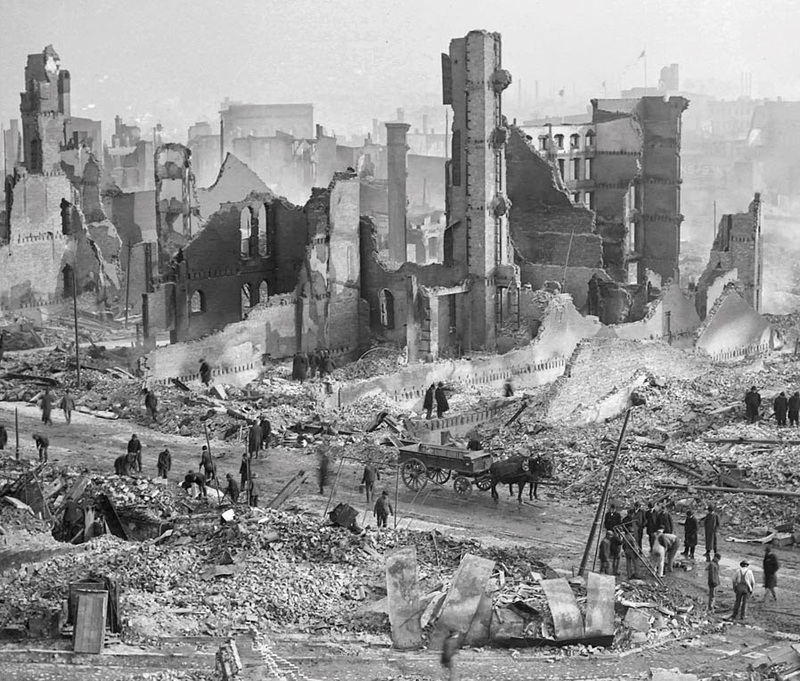 Learn about the 3rd worst fire in US history, in which 86 downtown blocks and 1,500 buildings were destroyed in 30 hours. Seventeen companies from six states came to fight the fire. A special tour of Old Engine 6, the Fire Department hospital at the time of the Fire and now a small museum with Fire Memorabilia, photos and apparatus, is included. Whether you're looking for road bikes, mountain bikes, triathlon bikes, BMX bikes, clothing, bike parts, cycling accessories, vintage new or used there's comething for everyone all on sale at discounted prices! Explore the history and current state of Ladino, a Jewish language that arose in the Iberian Peninsula and spread in the wake of the expulsion of Jews from there in 1492 as new Jewish communities settled throughout the Mediterranean region. This concert is the culmination of The United States Air Force Band’s Collegiate Symposium, a two-day workshop for visiting talented college musicians from around the country. Featured works by Higdon, Respighi, Mackey, Grainger and Sousa, among others. FREE admission, no reserved seats.